Jeremy and Aelita are looking at something they recovered from the Cortex during a previous mission. It’s a video file, however it has been very corrupted. Nonetheless it intrigues the two teens: we hear Hopper’s voice despite the crackling, seemingly expressing his annoyance about something. Odd on the other hand is ecstatic. Ulrich tells him that Samantha has returned to Kadic. Odd, delighted at the idea of seeing the only girl he’s ever really had a huge crush on again, can’t contain his joy. Pretending to have an injury he skips out of PE, slipping away to go find her. Unfortunately, he doesn’t know that there’s a spectre at Kadic. It approaches very close to Odd but gives up trying to get him when he starts talking to Samantha. What Odd has ignored is that, in gaining power, XANA has also gained the ability to generate polymorphic clones. While Odd disappears to go change, the spectre changes from the appearance of a student to that of an adult who will wait in ambush at the cafeteria. Meanwhile, Jeremy uses the same excuse as Odd to get out of sport. But in actual fact, his phone indicates that XANA is attacking. Warning Yumi and William, he heads for the factory. At the cafeteria, Odd, freshly dressed in a more or less classy suit, gets ready to flirt with Samantha. Hit by a cafeteria cart, he is helped back up by a spectre which takes the opportunity to retrieve some codes. XANA’s monster releases Odd when Samantha intervenes and disappears. Odd becomes subject to the effects of the spectre: he becomes unable to formulate coherent sentences and slurs his words. In the confusion, he upsets Samantha by treating her badly. Yumi, William and Jeremy arrive at the factory. The two older of the group are the first to take the plunge into the Desert. William runs on ahead, followed by Yumi. They’re quickly confronted by a small group of Kankrelats which they eliminate without much difficulty. 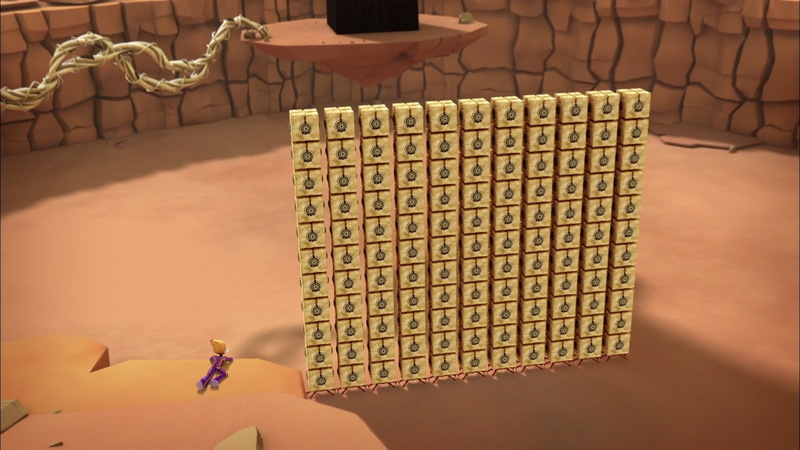 Getting closer to the Tower, they make a rather grave discovery: a wall of Bloks. It fires a very powerful laser offire which devirtualises them both in one hit. Yumi and William are sent back to the scanners. Aelita and Ulrich arrive at the same moment on Lyoko. Confronted by the wall, they hide behind rocks. On Earth, Odd is still unable to communicate properly. He tries to escape the spectre which has changed its appearance from the cafeteria worker to the gardener. He steals Jim’s phone and flees. He contacts Jeremy. When the brainiac realises that his friend was attacked by a spectre, he urges his friends on. 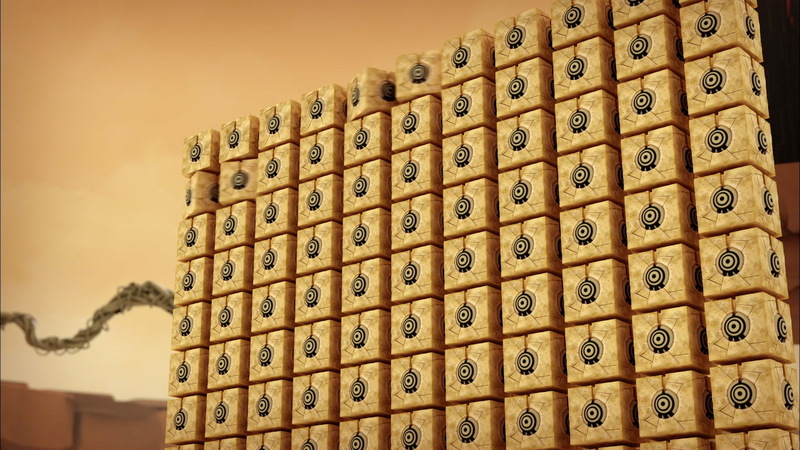 The Blok wall on Lyoko seems invulnerable. Aelita’s Energy Fields don’t even leave a scratch. The wall’s shots explode the rocks. The heroes nonetheless gain some time by blocking the attacks thanks to Aelita’s Energy Fields. Unfortunately, they undergo a twist of fate and are squashed by a rock which falls on them after a shot from the monster ricochets and hits the cliff. Yumi and William return to Kadic to find Odd. Yumi decides to return Jim’s phone to avoid trouble. William takes Odd to Lyoko. Once on the virtual world, Odd regains his normal ability to speak and can finally tell his friends about how the spectre is polymorphic. Ulrich and William go back to Kadic to warn Yumi. She has convinced Jim that Odd is psychologically weak due to schoolwork overload. The sport teacher leads the Japanese girl to the principal’s office. Jeremy programs Odd a gadget which allows him to analyse the structure of the Blok wall and find its weak point: a unique Blok which would be the “Blok leader” and whose destruction would lead to the disappearance of the wall. Aelita warns Ulrich via telephone that the spectre has taken the appearance of Mr Delmas. Yumi, leaving the principal’s office, happens upon the boys. Certain she had just spoken to the real Delmas, she doesn’t lose time in accompanying them to the factory so they don’t run into the spectre…which is actually right on their heels. Thanks to his gadget, Odd finds the master Blok, kills it and destroys the wall. He then enters the tower by doing a little dance. He deactivates it the moment which the spectre, taking Sam’s form, rushes on the heroes in the lab. The only positive point: Jeremy’s computer has finally finished repairing the famous video found in the Cortex. The heroes find Franz Hopper in a lively dispute with one of his employees, a professor Tyron, on the subject of plans which were removed from a chest against his will. The video ends on Tyron who, after Hopper leaves, calls him naïve, sounding malicious. - Attack: Send a polymorphic clone to retrieve codes. - The Supercomputer generating the Cortex was probably created by professor Tyron, an old associate of Franz Hopper who stole his research. - First appearance of Samantha Suarez, the Evolution adaptation of Samantha Knight from the original series. The most notable differences between the two include skin colour, backstory and behaviour. 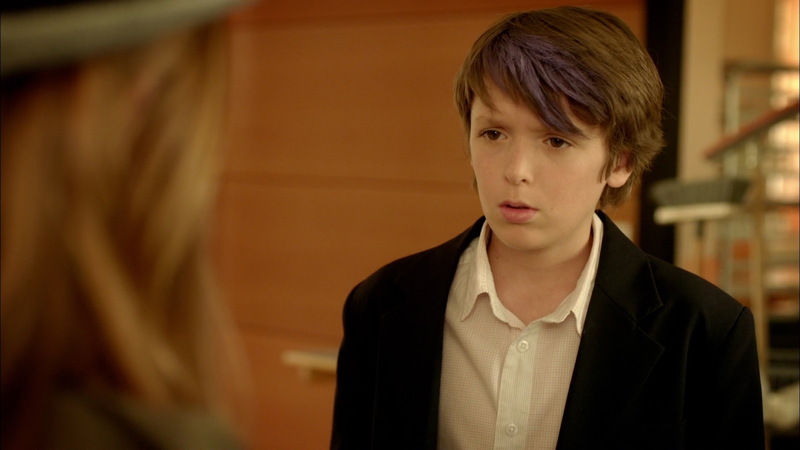 - First time William is truly defeated (the first time in episode 6 “Suspicions” was a sacrifice rather than a defeat). - First appearance of Tyron (in a video). - First appearance of Franz (aside from the photo in episode 2). - First use of William's sword's energy wave in Evolution. - This episode features Samantha as enrolling at Kadic very recently. However, her character can be seen in the background in previous episodes. 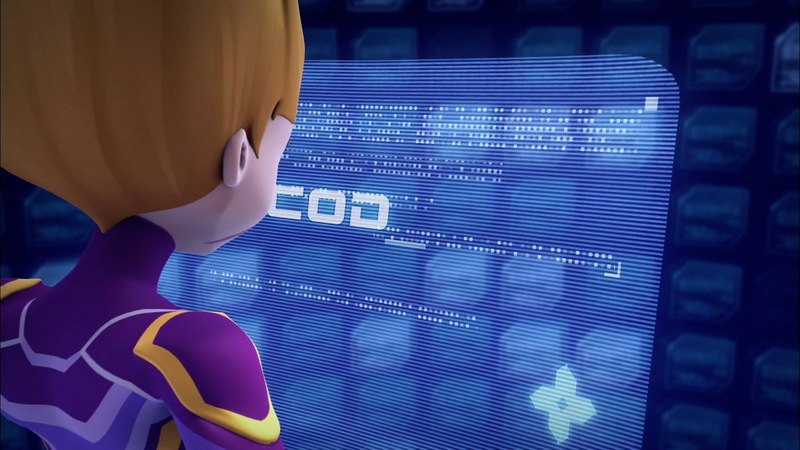 - When Jeremy sees Yumi and William being devirtualised on his screen, Odd is seen virtualised as well, but not Ulrich. 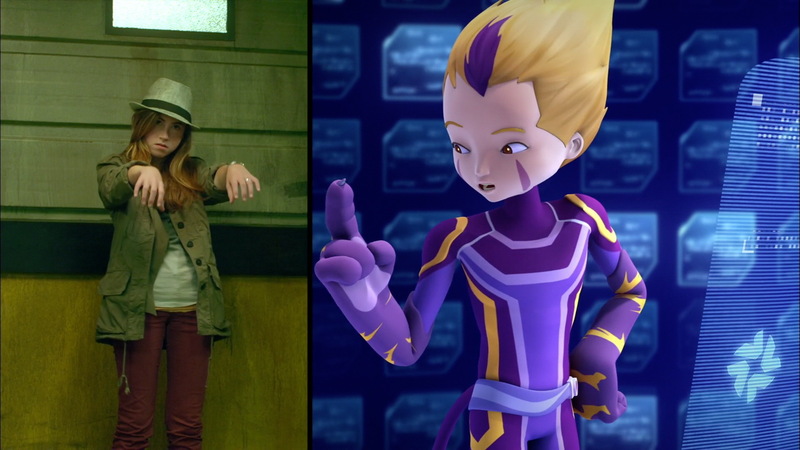 In reality Odd is still at Kadic and Ulrich is with Aelita on Lyoko. - First appearance of Kankrelats in Evolution. - New gag about Jim's inability to pronounce English words. Here, the word “burnout”. In episode 1 of Evolution, it was the word “geek”. 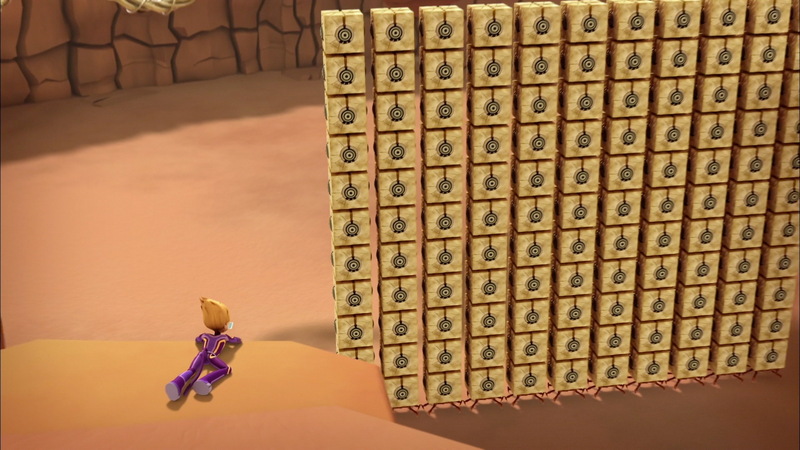 - The tower activated in the Desert is the same as in episode 3 “Spectromania”. - When Jim says to Odd “You think you're in a disco class?” we can note this as a clear allusion to episode 66 “William Returns” in which Jim forced Odd into a disco class against his will. This is an allusion to ninjas, furtive assassins in medieval and modern Japan. Trained in combat and killing in extreme conditions, they were used in political assassinations. 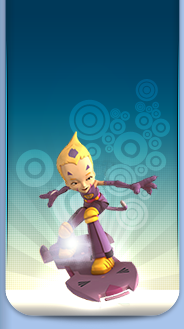 We can also note an amusing reference to the Code Lyoko Social Game in which the class of Character using Yumi's combat style is called “Ninja”. Jeremy: Ah, there's a spectre near the cafeteria! Aelita: I'm really scared of these code eaters, not to mention their perverse effects. Ulrich: If Odd's got perverse effects on the mind, they're more about Samantha, don't you think? Franz: This plans should not leave the safe, Tyron! My instructions were very clear! That's it! You wanted to use them to your own ends! Tyron: It's you, Hopper, who's always seen the smaller picture! Franz: You're not worthy of our research, you're no longer part of my team! William: Yeah! I'm a Lyoko Warrior 100% now, and I'm counting on proving it every time! Aelita: Joke aside, I don't like to see Odd all alone. We'll deactivate this tower quickly. Odd: It wins the race = it changes face. It's not that hard to understand! Odd: Who's the most funky Lyoko Warrior??? It's meeeee!